Looking to channel a little Joanna Gaines inspiration into your holiday decor? 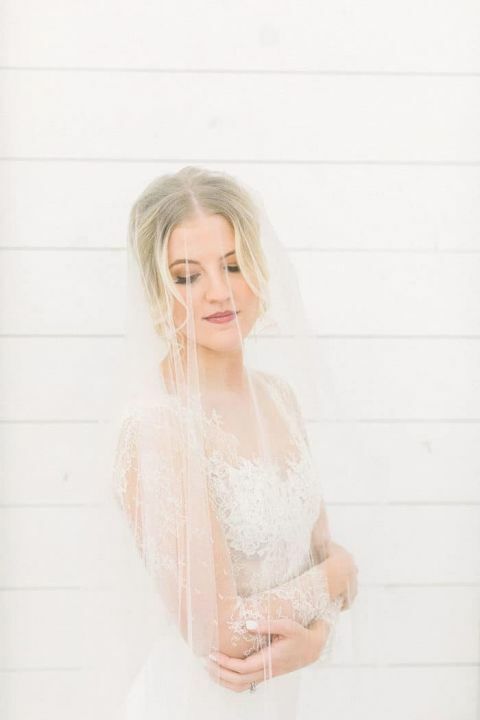 The rustic elegance of this holiday-inspired shoot adds a doze of farmhouse style to a classic winter wedding to create something beautifully aspirational! 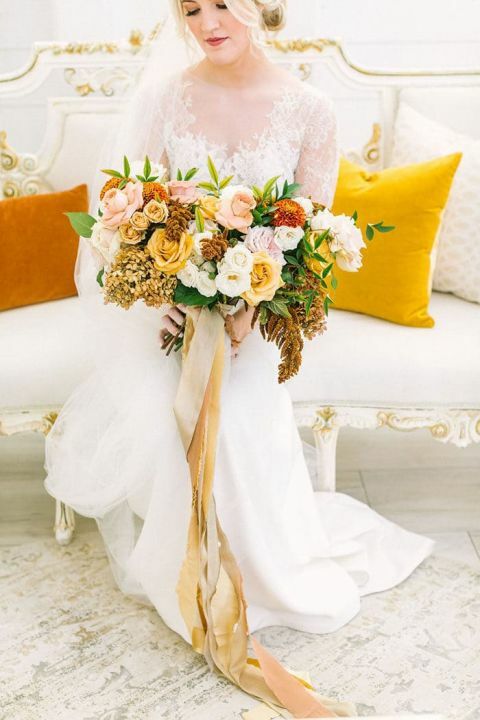 Shades of white and gold take on an organic feel when they’re rendered in a shiplap barn interior and the natural texture of yellow flowers, succulent pears, and amber cocktails! Ellen Ashton and Chancey Charm Dallas transformed the barn venue at The Nest at Ruth Farms into the most magical farmhouse style Christmas wedding with gorgeous colors that are sure to inspire all year long! 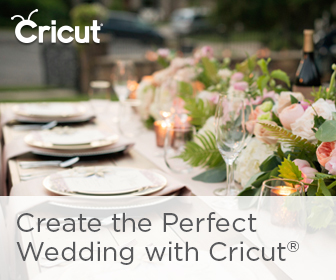 Many brides dream of a winter or holiday season wedding. That vision can often come with visions of red velvet, snowflakes, and shiny ornaments. With this shoot we wanted to push the boundaries of what is envisioned when you think of a winter wedding. We chose to not include any typical holiday elements but keep the same warmth, intimate setting, and romantic feelings. The color palette of oro gold, amber, forest, midnight, and mahogany was so fun to play with. These colors are not typically used in winter settings, but we felt that it perfectly reflected the season. Adding in spices and sweets helped bring back memories of baking with family. The soft fabrics created a sense of home and intimacy. The live pine trees unadorned allowed the feeling of wildness and to bridge the gap between outdoor weddings and inside a gorgeous venue. The Nest at Ruth Farms was the perfect venue for this aesthetic. The soaring white walls and attention to detail throughout the space allowed us to create a formal event with luxe vintage touches and continue the theme of intimacy and warmth. The Nest is located in the north Texas countryside and its rural setting provides some of the best sunsets over the winterized grasslands. Although we wanted to highlight the indoor spaces, it was impossible not to step outside for some stunning portraits. 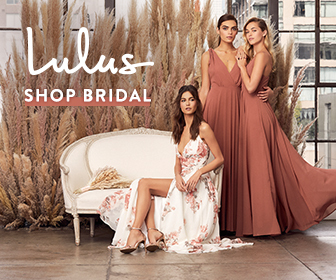 The ladies of Blushington Blooms knocked it out of the park with uniquely colored blooms, dried stems, and instantly timeless designs. The warm tones of the floral paired beautifully with the stark walls and the contrast of the dark pine trees. Mixed ribbons on the bridal bouquet were the perfect icing on the cake. Bleu Luxury Rentals‘ pieces were the perfect mix of luxe vintage and contemporary elements. When describing the vision for the lounge and other furniture elements of the shoot we kept saying “things your rich grandmother would have”. The cut crystal pieces, fine fabrics, and stunningly detailed heirlooms were the perfect addition to the aesthetic. It instantly made the large barn venue feel homey and warm. We were lucky to find a beautifully restored wood mantle to serve as our bar. The hearth of a home can be a gathering place during the holidays so it made the perfect place for our bar. Brown Fox Creative created all of the beautiful paper goods. The hand deckled edges and muted gold calligraphy on the invitation suite and other paper items continued our vision of luxe yet vintage elements. 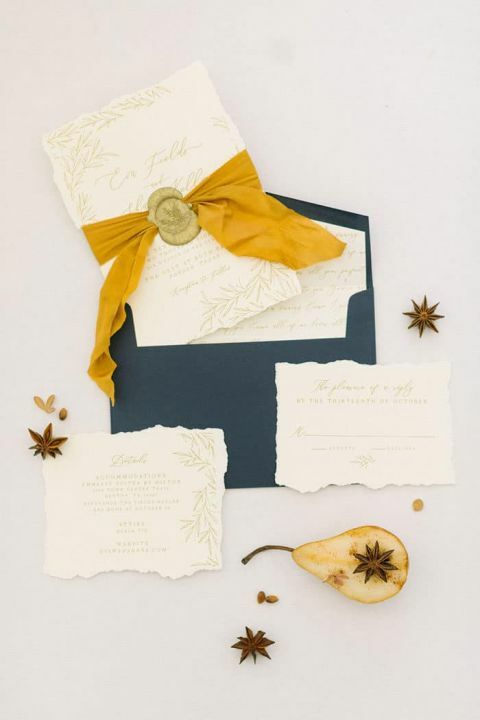 We loved how the warm silk ribbon brought out the colors of the cinnamon and star anise. For the reception table we wanted to shake things up a bit. I love family gatherings around a circular table. I think it brings everyone together in a shared experience so we decided to create a large circular guest table with the unadorned trees as a centerpiece. Each place setting showcased a beautiful Bosc pear as a place card. 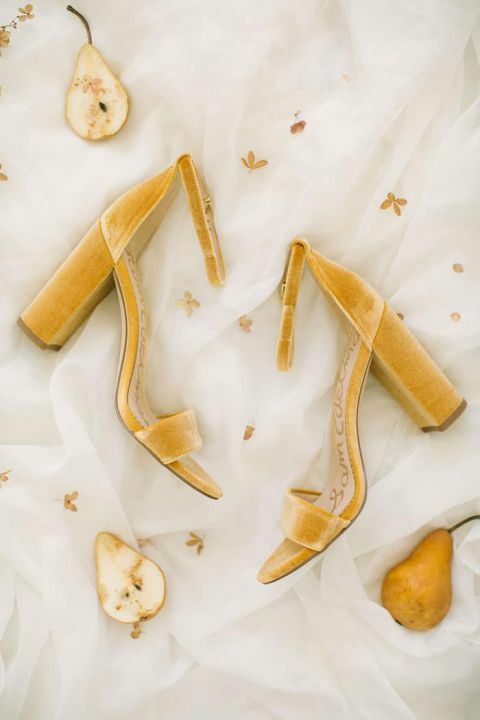 The colors of the pear encompassed so many of our unique tones we used throughout the shoot. Our beautiful couple just celebrated one year of marriage before this shoot and were still in that beautiful honeymoon phase. When Stephen saw his bride, all dolled up thanks to the talented Holly of The Styling Stewardess, he was still in awe of her beauty and grace. They loved snuggling together and really enjoyed the experience of a “second wedding”.